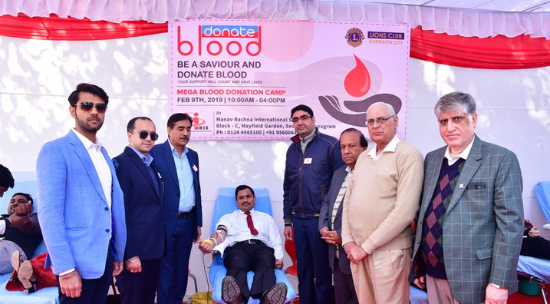 Manav Rachna International School, Sec-51, Gurugram organized the 8th Mega Blood Donation Camp in association with Lions Club, Gurgaon City at its premises today. 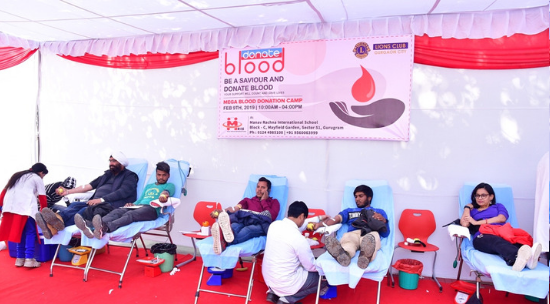 157 units of blood were collected during the camp. The Camp was inaugurated by Sh. Yashpal Yadav, Commissioner, MCG, Chief Guest for the day. Mr Kuldeep Yadav, Chairman Councilor, Ward no 29, Gurgaon, and Mr CM Sharma , President FACE (N.G.O) were the guests of honour. 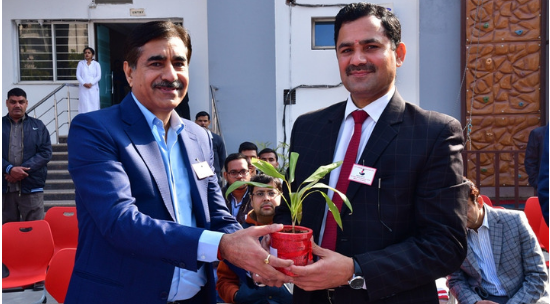 Also present during the camp were Mr Rajesh Kalra, Chairman; Mr Gaurav Rai, Executive Director and Mrs Pooja Puri, Principal of the school along with school staff and parents. 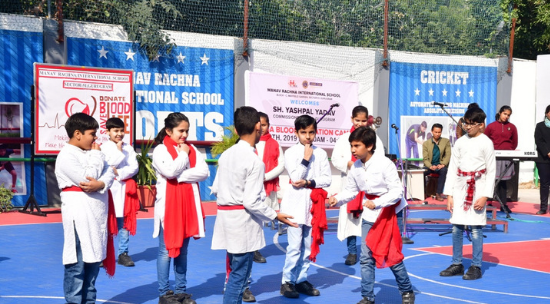 To make the occasion all the more special, it started with the classical dance presentation followed by melodious song presentation by school choir. A Nukkad Natak was also presented by the enthusiastic students who emphasized the importance of this novel act and made an effort to encourage youth to come forward for it. The camp saw enthusiastic participation by the parents and faculty. Sh. Yashpal Yadav also donated blood at the camp.Throughout the day, there were smiles all around – a true embodiment of what we believe in – selfless service with a smile. MRIS-51 came up for a great cause and successfully conducted the blood donation camp. Mr Rajesh Kalra, Chairman of the school appreciated the response of the people.